Do you feel nervous about your Cambridge Interview? 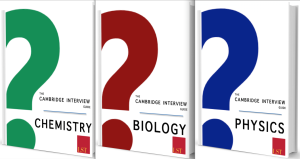 It is very clear from our experience that there is a vast discrepancy in the amount of preparation candidates do before their Cambridge interview. Some schools are very experienced with applications to Cambridge and provide a great amount of support to applicants. However the majority of schools are not familiar with the process, leaving their students at a huge disadvantage. Every year we hear from students that they are most apprehensive about the interview. We specialise in preparing students for their Cambridge interview: improving their confidence, speaking and ability to give strong answers under pressure. We offer a range of free and premium services to give you the best chance of getting into Cambridge; click below for further details. Please Note: Other subjects will be available shortly – please enter your email below to receive a notification when your subject guide is available for download. 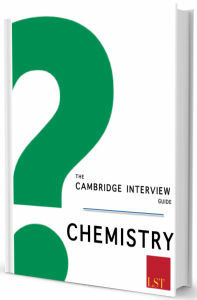 Special Offer: Get both the Biology and Chemistry guide together for a discounted price! “At first I was unsure how this guide could help – but I realised that my school teachers had no idea about what I might be asked and how I could deal with it. 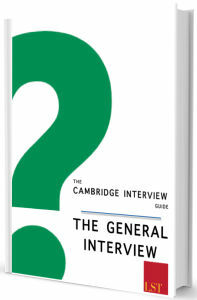 I found the Interview Guide really useful to prepare – I had a much better idea of the way interviewers ask their questions; and the fact that they are more interested in my thought process than the exact answer. But I figured I might as well give it a go. 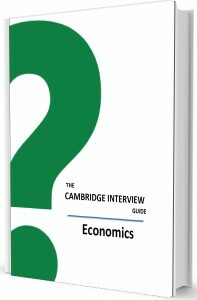 I used a few different websites to prepare – and the Cambridge Interview Guide was really helpful in preparing in the weeks leading up to the interview. Let our Cambridge experts review your personal statement for 24 hours before providing constructive feedback and valuable improvements via a 45 minute Skype consultation – allowing you to discuss your application and have your questions answered, as well as a written report. The feedback will give you a better idea of your strengths. We will discuss your application with you, and how best to prepare for your interview – including reading suggestions. The discussion session also gives you an opportunity to ask any questions about the course and life at Cambridge. It is important to spend some time preparing for your Cambridge interview. 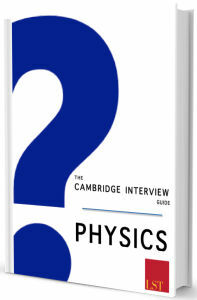 The page “Helping You Get Into Cambridge” provides a list of areas where Cambridge Interview Questions can assist you with your application. How hard is it to get into Oxbridge? The following article recently featured in The Guardian discusses “How hard is it to get into Oxbridge?”. This very informative article gives extensive details and numbers regarding applying to Oxbridge. The following article recently featured in The Daily Telegraph discusses “What it takes to make it to Oxbridge”. If you have excellent GCSE results and a brace of A grades at AS level, you may be thinking about applying to Oxbridge. For many people, the very word conjures up images of Sebastians and Julias in boaters and gowns, punting and drinking champagne. But as the deadline for applications approaches (October 15) don’t be put off by the Brideshead stereotypes. Oxford and Cambridge are consistently ranked among the top five universities in the world and attract students from any background. That said, an Oxbridge application should not be taken lightly. If you’re offered an interview you will need to prepare for it, which could detract from your A-level studies. And if you are rejected, either before or after interview, you will have to cope with the disappointment and move on. But if you have good grades and feel able to take a pragmatic approach to your Oxbridge application, why not give it a go? Oxford and Cambridge are renowned for their research and high-quality teaching. In the latest QS global survey of universities, the top-ranking universities in the world were Cambridge, Harvard, MIT, Yale and Oxford. Given the calibre of students that the two universities attract, it is also not surprising that so many of our leading politicians, scientists and businessmen are Oxbridge educated. David Cameron, Tony Blair and Margaret Thatcher are all Oxford graduates. Two features of the universities make them especially attractive: the first is that students are primarily taught individually or in small groups (called “tutorials” in Oxford and “supervisions” in Cambridge), rather than through lectures and large seminars. These sessions are conducted by leading experts in their field, rather than by postgraduates, allowing students to discuss their work and ideas with some of the key thinkers in the world today. The second unusual feature of an Oxbridge education is its “collegiate” nature. Students are members of colleges, which are small communities where friendships are easy to form. Undergraduates can get involved in college-based sport, music or drama. What profile do you need? To have a serious chance, you will need to have secured at least six A* grades at GCSE and all As at AS level. Cambridge will also ask to see individual module scores, which should be above 90 per cent on average. You should also enjoy reading around your subject in your own time and relish the chance to discuss ideas with your peers. If not, Oxbridge probably isn’t for you. Anyone with a strong academic background, a genuine interest in their subject and a self-motivated and enthusiastic approach should consider applying to Oxbridge. There is no “type” of person who will get in. Oxbridge is the exciting and vibrant option it is precisely because of the diverse nature of its student body. How do I write an Oxbridge-geared Ucas form – and when do I send it? As for all other universities, you need to submit a Ucas form (including a personal statement), but by the earlier deadline of October 15. By December students will know whether they have been offered a place (either conditionally or unconditionally depending on whether they’re applying before or after A-levels). Do not refer directly to Oxbridge in your personal statement, as it will be sent to all the universities to which you are applying. At least 80 per cent of your personal statement should relate to your academic studies, with only a small paragraph devoted to extra-curricular activities. This isn’t because Oxbridge students do nothing but work; it is because tutors pick their students from a large number of very high-achieving applicants and are concerned with how successfully you will cope with the demanding courses. Use your personal statement with this aim in mind: to impress upon the admissions tutor that you are academically able, intellectually curious, enthusiastic and hardworking. In recent years, the interview has become just one element in a selection process that includes written assessments and the submission of written work. Oxford will use these tests to decide whom to call for interview, so it’s worth looking at some sample papers to get a sense of what is required. Certain courses at both universities require students to take the Thinking Skills Assessment (TSA). Cambridge will also ask you to fill out a Supplementary Application Form, which will include details of your module scores and an “additional information” section. More details about this are available on the universities’ websites.